Updated 5th Nov 2014; This restaurant is closed according to Urbanspoon.com. 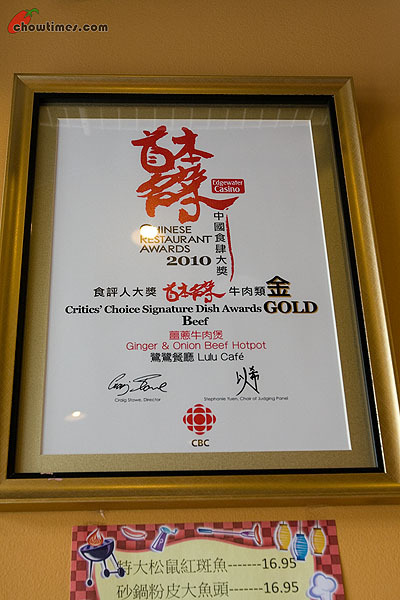 It is not a surprise that over 50% of the award winning restaurants of the Chinese Restaurant Award Critic’s Choice are in Richmond. Despite that, it is good to know that the CRA awards covers a wide geographical area. To me, this is one aspect that lends credence to the award. 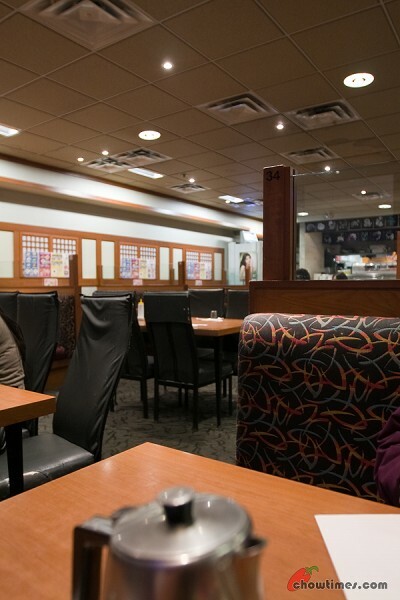 There are two restaurants in Coquitlam that won the CRA Critic’s Choice Award. 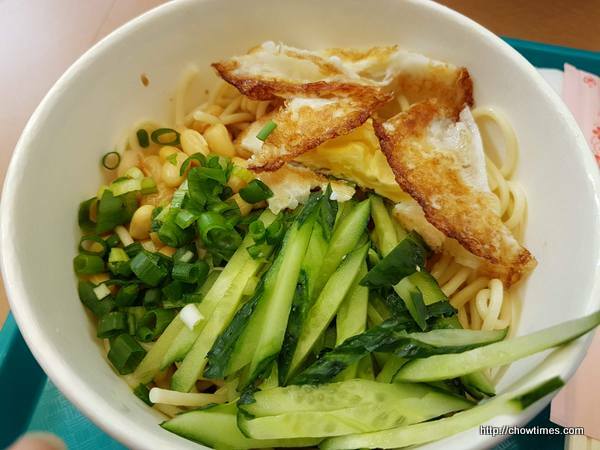 The first was Lucky Gate which won Silver in the Northern Noodles category with their hand sliced noodles. The other one is the Lu Lu Cafe. 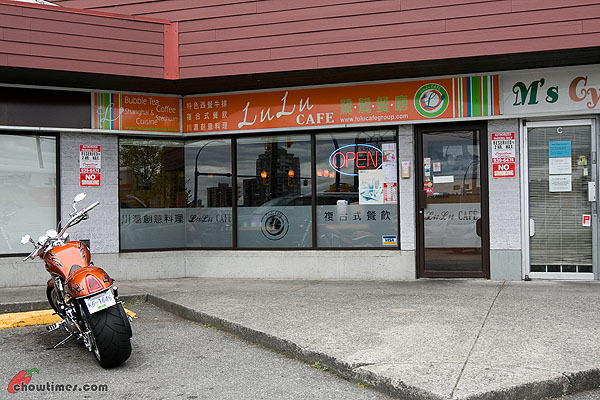 The Lu Lu Cafe is located on North Road on the intersection with Austin Avenue. 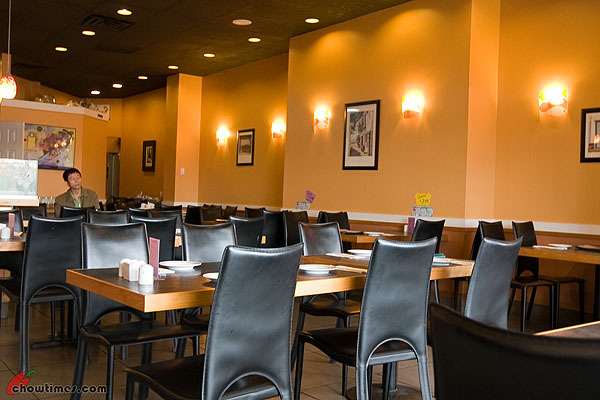 This restaurant is located on a small strip mall, away from the cluster of popular restaurants further south. 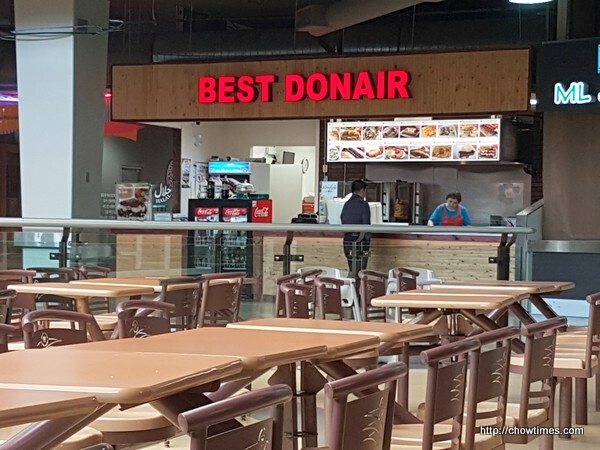 When I first saw the restaurant at this location, I was kind of surprised that the CRA even took notice of this restaurant. The signboard outside is orange-y … quite eye catching. I thought this might be one of the more progressive Chinese restaurants because they have their own website URL printed on the signboard. The URL is www.lulucafegroup.com. Go on, click on it and see where that takes you. LOL! Like the outside, the inside is also orange-y. It was quite pleasant and is neat and definitely clean. We were there at about 4PM. 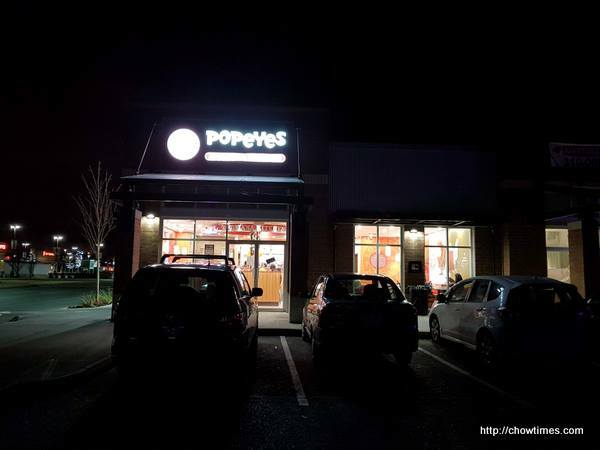 I know, who eats at this hour of the day. It’s a long story and I’ll spare you the details. So, the restaurant was empty. The only customers they had the whole time was just us and another table. 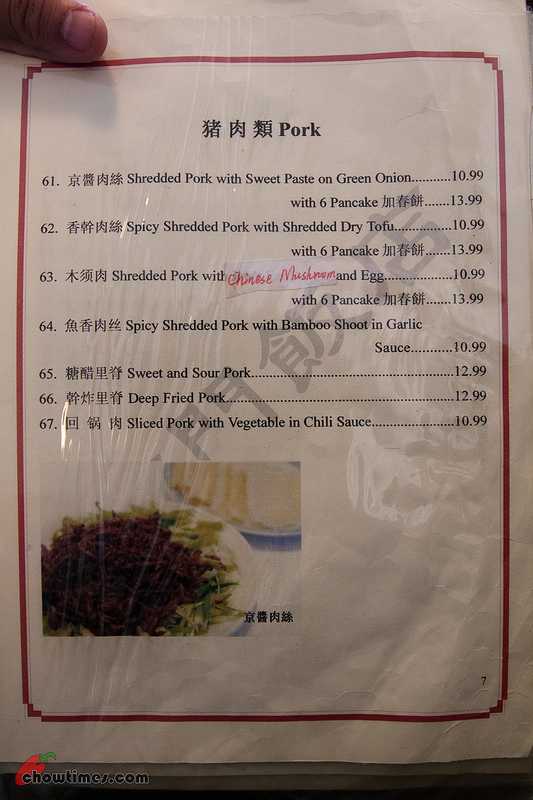 The sign outside the restaurant says that they serve Shanghai and Sichuan food and also bubble tea too. 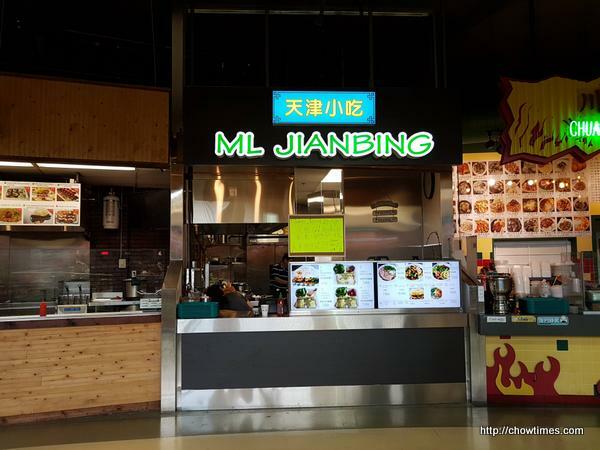 So I wouldn’t classify this as a HK Style Cafe despite the cafe name. First thing we did when we were handed their menu was to point to the award right above our head and said we wanted that. Our waitress laughed. And then I can see her eyebrows raised when we started fishing out the camera and notebook. After she took our order, the first thing she did was to talk to the gentleman in the picture above and pointing to us. I think that gentleman must be the owner or something. He shyly came over and tried to talk to us. In English, that means a chicken having a conversation with a duck. We couldn’t quite know how to respond to him when he asked us if we are reporters. How do we say “bloggger” or “blog” in Mandarin? I don’t think he understands what we were saying and so we just say, “yes, we are reporters”. He left us alone after that because obviously we can’t understand each other. 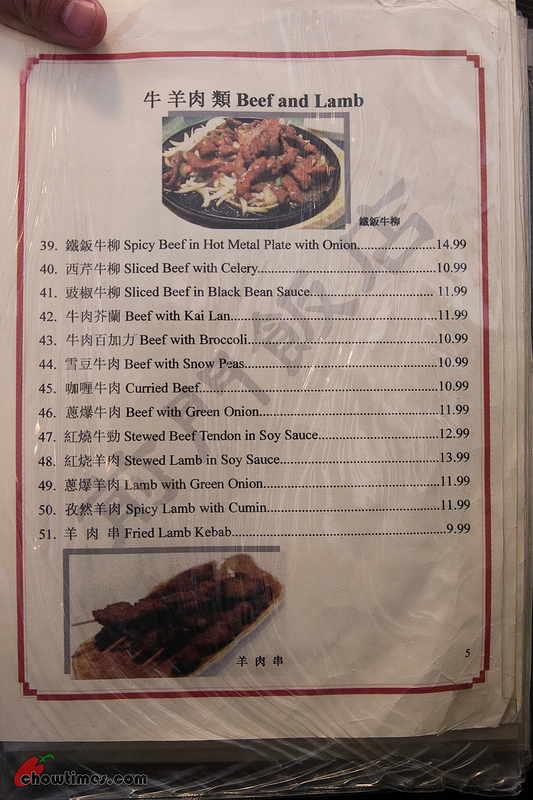 The dish above won the Gold award in the Beef category and costs $10.95. However, their take out menu says that this is $9.50. I am not sure why the difference. 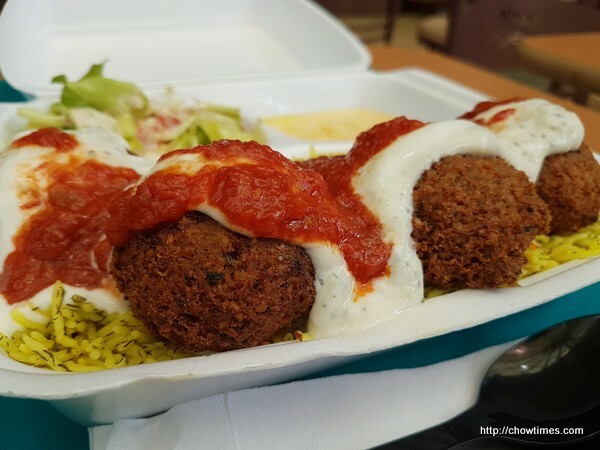 You know, in the course of writing so many blog posts about restaurants I had been thinking that perhaps I need to rethink the focus of my writing. I was thinking that I should be dining out based on a particular DISH I wanted to try rather than a particular RESTAURANT. These thoughts came about when I came across a new website called FoodSpotting. 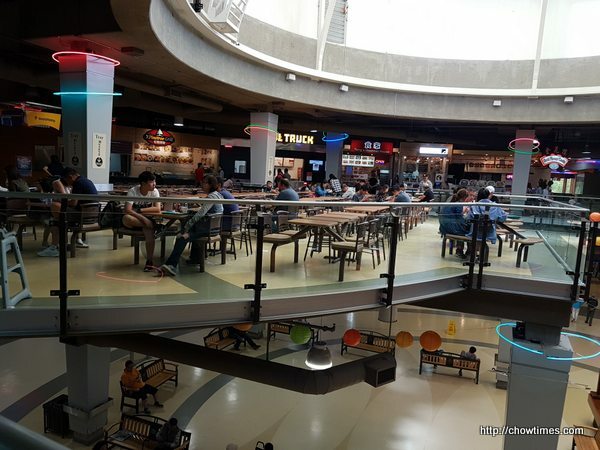 Foodspotting is food-centric quite unlike Urbanspoon which is restaurant-centric. Also, you have seen a lot of “Best Restaurant of The Year” awards before. There are so many such lists from almost every newspapers, magazines and even some websites. There are so many that sometime you just don’t know which to follow. However, there is one particular award that is very well thought out. While it is not perfect, it is a list I came to respect a lot. These are the awards handed out by the Chinese Restaurant Awards (I’ll abbreviate it to just CRA). What I like best about these awards is that it has two sets of awards. The first set of awards is called the Diner’s Choice. The Diner’s Choice recognizes the best restaurants in the various categories. These are restaurants selected by the public, people like you and I. Most of the “Best Restaurant of The Year” awards are selected using this method. As you know these kind of awards are subject to manipulation in some ways. You can’t really weed out entirely attempts to pad numbers. A properly coordinated voting can propel a ho-hum restaurant right to the top. This kind of lists are a dime a dozen. I don’t really pay a lot of attention to them. What I respected most of all is the CRA’s other set of awards. It is called the Critic’s Choice. With the Critic’s Choice, the focus of the award is to recognize the best DISHES in each category … and they are selected by a panel of expert foodies. While this list is not perfect (no list is ever perfect), at least this list is created by named individuals who are well respected in the industry. There are 25 separate categories in the Critic’s Choice List with the best two dishes awarded Gold or Silver. 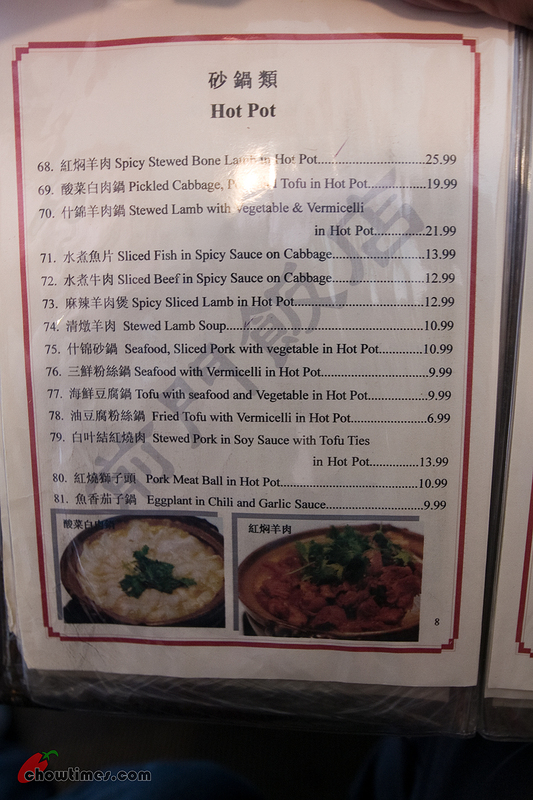 So, in all, there are 50 separate dishes identified! 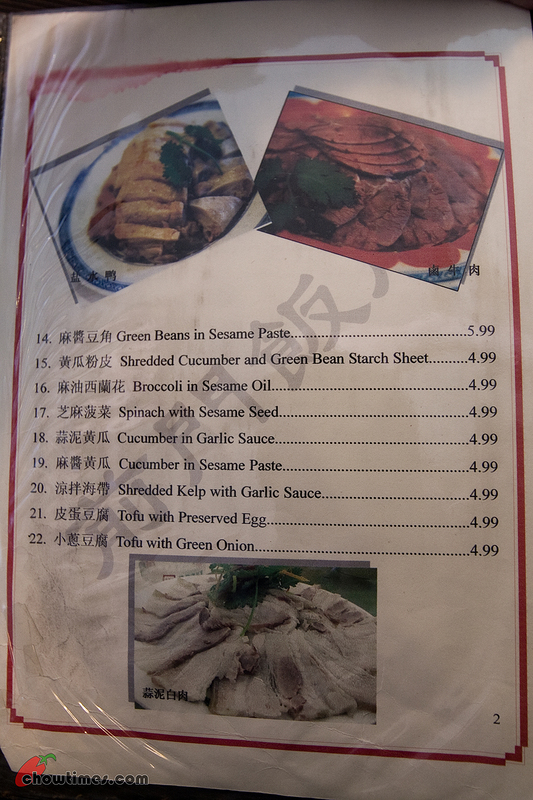 (see list of dishes here). And guess what … Suanne and I had been systematically visiting each restaurant and trying each dish listed on the Critic’s Choice for the past few weeks. So, here we go … this will be a long series stretching over a few weeks. We call this the “CRA 2010 Signature Dish” series. Our series started with a long trek to the far reaches of Coquitlam on Austin Avenue. I did not think it was that far. I mean, Coquitlam center is already quite a drive from Richmond but this restaurant is another few kilometers drive from North Road. From the outside the restaurant is unremarkable. If not for the CRA Critic’s Choice list, I would have brushed this aside as one of those Chinese restaurants that gives out fortune cookies along with the bill. 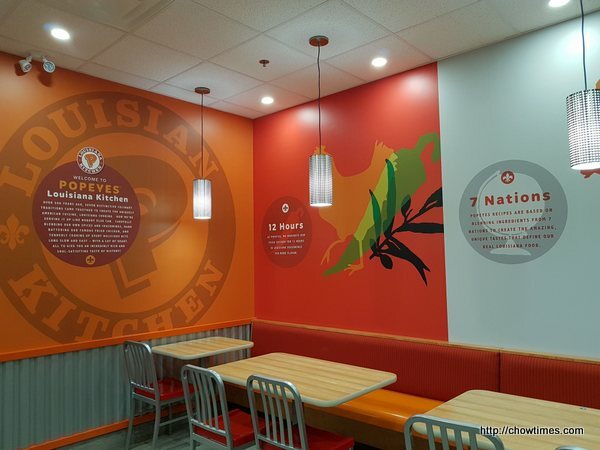 The interior is just about an average sized restaurant. The decor (if you can even call it decor) is just as unremarkable as the outside. Maybe I should describe it as unpretentious. It is just a simple Chinese restaurant. At the back of the dining area is a glass enclosed area where you could see part of the kitchen at work. That has to be the master chef at work deftly slicing noodles from a block of dough in quick strokes. I guess he must be the master chef because our waitress checked with him when we asked for permission to take pictures of his menu. It is amazing to see him work. 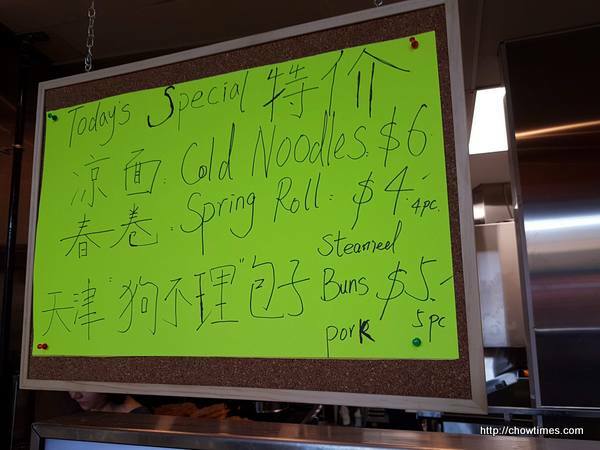 Their specialty is the hand sliced noodles. 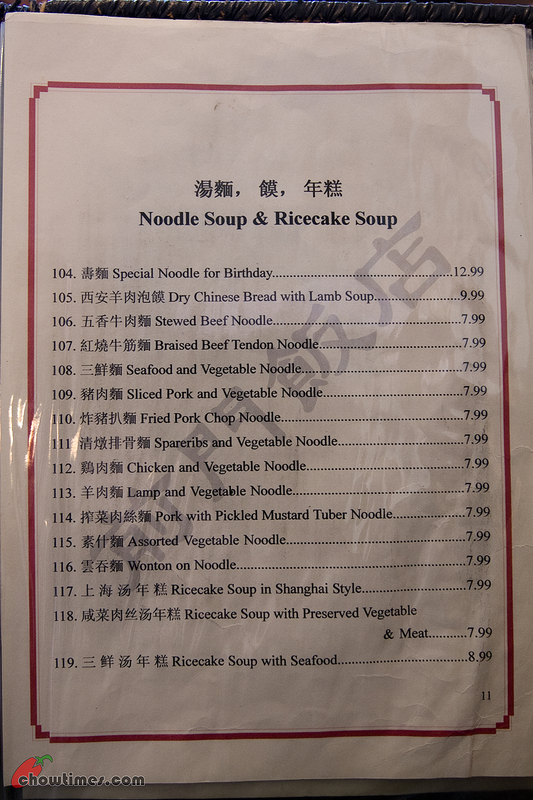 You may click on the menu above to enlarge it. 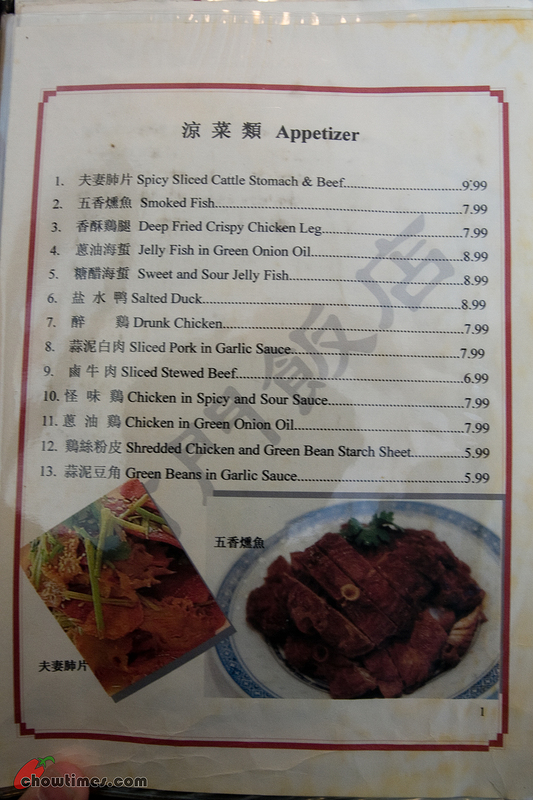 The menu is impressive and has a vast array of dishes that will put it on par with any of the Chinese restaurant in Richmond and Vancouver. As you can see, their prices are cheap. They are apparently a Northern Chinese cuisine restaurant. There were four of us in the family dining here. We ordered a cold dish appetizer to start off. Frankly, it is only off late that we learned to savour Chinese appetizers. I need your opinion here and correct me if I am wrong. 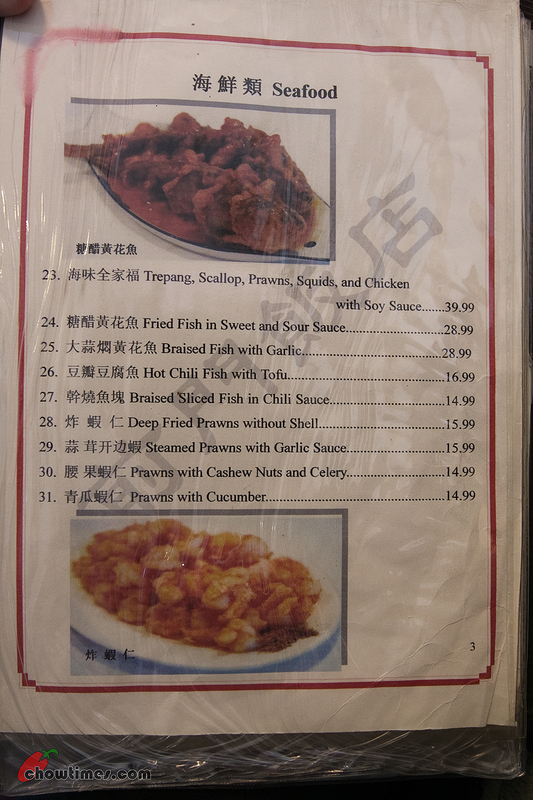 If I am correct, appetizers are not common in Chinese cuisine. These so-called appetizers are usually referred to as Cold Dish — dishes that they prepared up front and left to cool in room temperature. 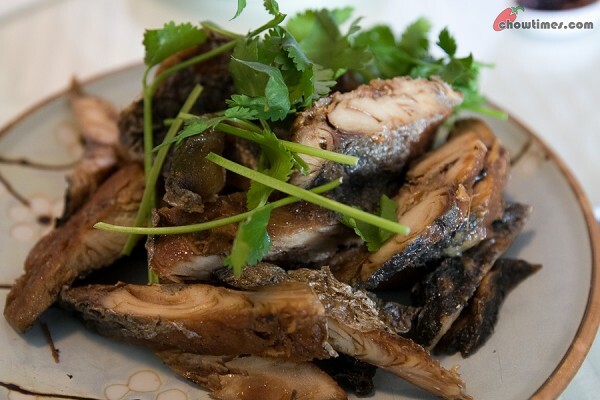 Most Chinese dishes are served warm or hot and will be cooked only when ordered. So, since these cold dishes are already pre-prepared, they are served first while waiting for the main dish to arrive. Am I making any sense? LOL! Some of you might remember that I did a post on a place called Bool Chul Pan about 3 months ago. This restaurant was introduced to us by Joyce and Jeff. 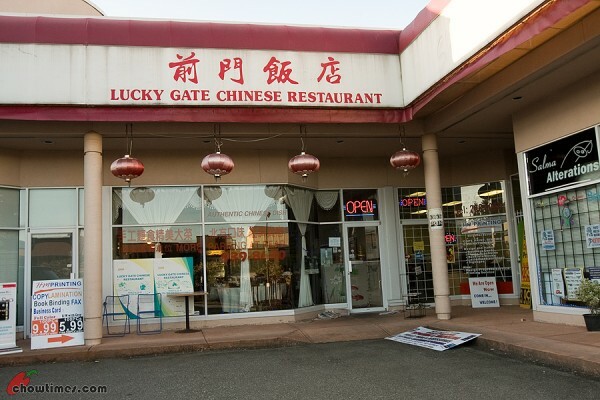 We would not have found this place on our own as Richmond is so far away from Coquitlam. For some reason that post on Bool Chul Pan generated a lot of hits. As a matter of fact it is the #2 most viewed restaurant post for the past 4 months. Anyway, Suanne and I went to Joyce and Jeff’s place to borrow a GPS from them a couple of weeks ago. Ours was stolen when some idiot broke into our car and took that one thing away. Even though the GPS is in the glove compartment, I think the thief knew that we had a GPS because of the suction cup marks on the dashboard … that is why I think only my car was broken into but not others around mine. 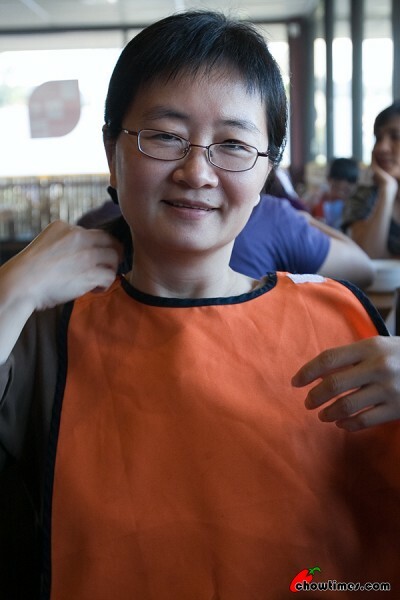 After picking up the GPS, Suanne and I went to the restaurant next to Bool Chul Pan. This is the Korean Mall on 4501 North Road. 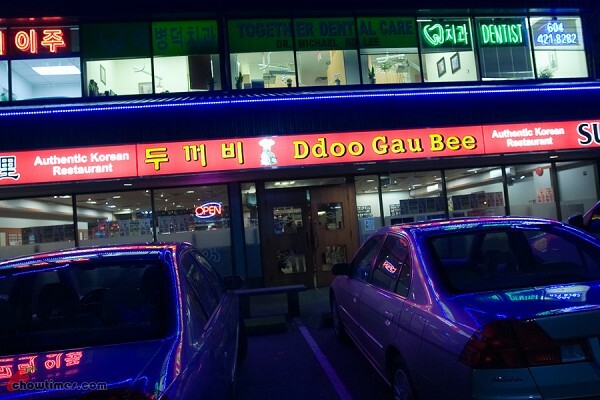 That restaurant is Ddoo Gau Bee. I find that name catchy, especially the “Ddoo” part. Do you pronounce that as “doooo” or “dedooo”? 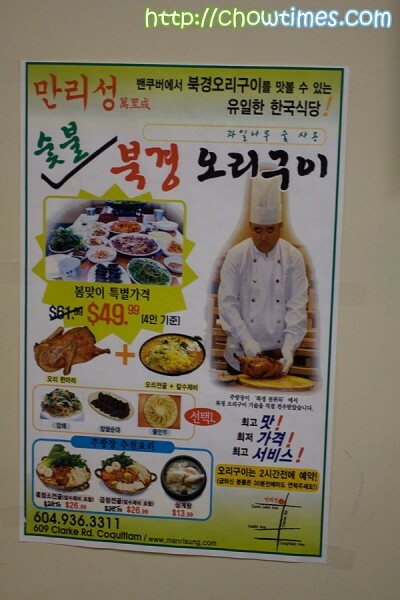 The sign outside declared that they are an Authentic Korean Restaurant. They sure are. The moment we walked in, they greeted us warmly. Unlike most restaurants they will simply ask things like “table for two?” but here the waitress said a lot of things in Korean with her head slightly bowed. Of course we did not understand Korean but it sure was welcoming. We noticed that most of the customers are Korean. Can you tell a Korean by the facial features? I think I can differentiate a Korean from a Chinese and Japanese. The restaurant is large spanning two shop lots. 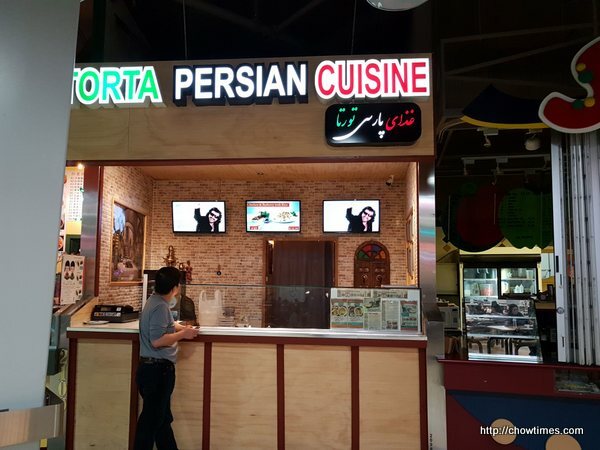 Most of everything in their menu is in Korean. 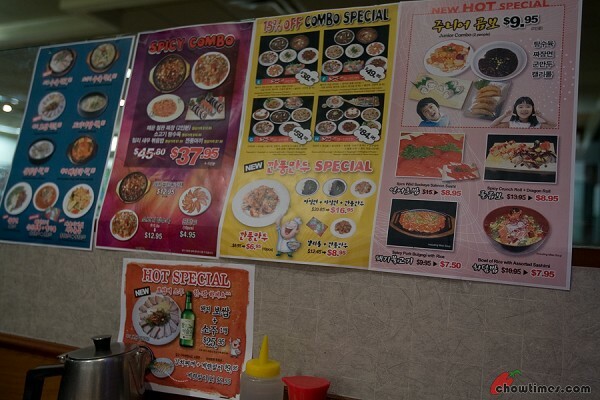 Their specials and combos are on posters pasted on the wall on most tables. 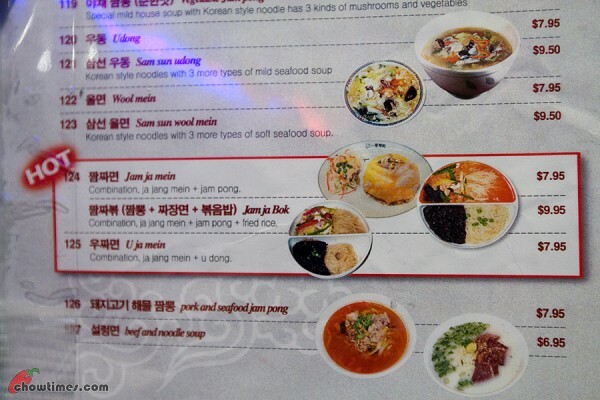 The pictures were useful since we are not very familiar with Korean food. They do have a lot of combos which are meant for groups. And they are pretty cheap too considering the amount of food and the number of people it is meant to feed. I always had the impression that Korean cuisine are expensive but Bool Chul Pan and Ddoo Gau Bee really changed my perception. It took us a while before we decided what we wanted. The waitress came by three times asking if we were ready to order. We tried to ask her questions the first time but communication in English was a bit difficult as she was not able to quite understand the questions we had for her. 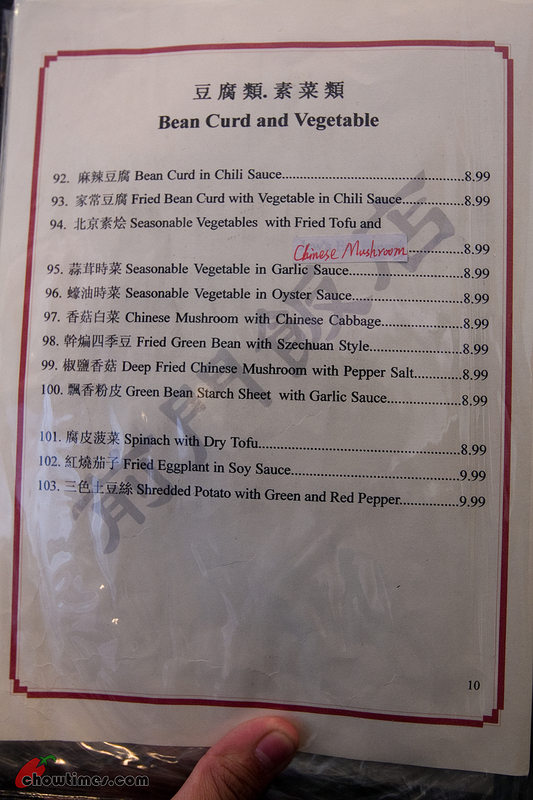 Anyway, at the end, we decided to get that item on the menu that is circled and marked “HOT”. 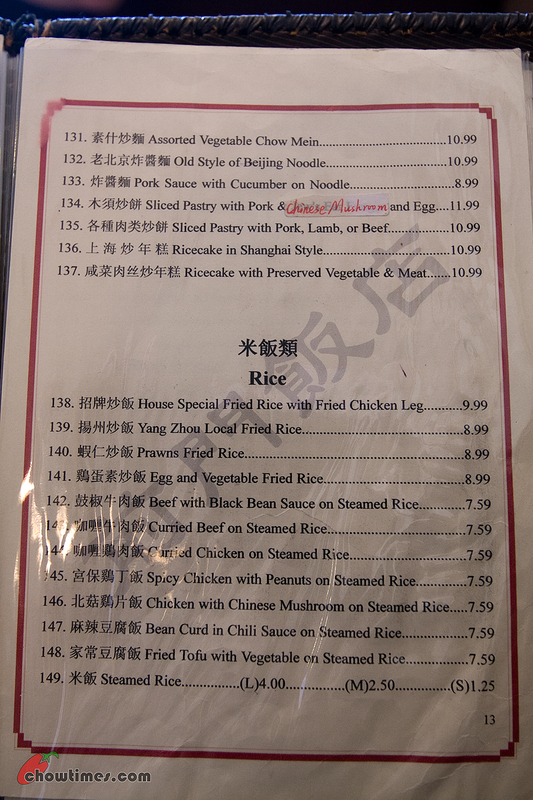 Between the three combinations, we ordered the one that has the most items. It is the $9.95 combo you see above. All Korean restaurants will serve free Banchans with every meal. These are small side dishes which generally are made up of several types of spicy, salty or tangy dishes. What I don’t know is this … are these meant to be eaten like an appy or is this an accompaniment for the entire meal? Sorry if I touch a raw nerve with this point here. 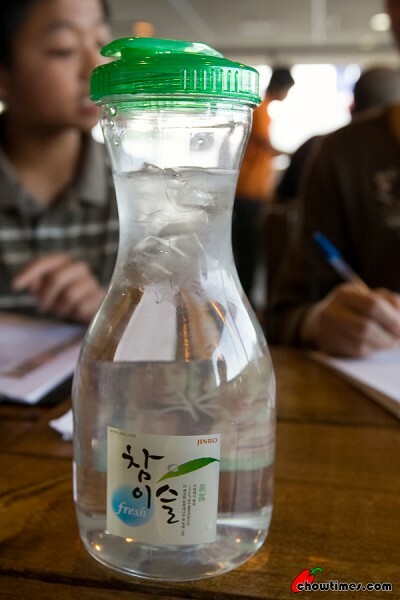 I heard that in Korea, it is common practice in restaurants to re-cycle banchans that are leftover. Is that true? I hope it is not. Anyway, we don’t think about these things so much and trust the Korean restaurants in Vancouver do not do this sort of things. 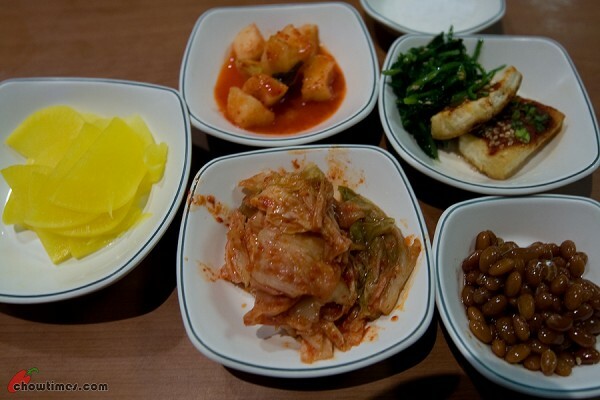 Of the five Banchans we were served, we love the pickled radish (yellowish on the left) the most. The tofu and spinach (top right) is pretty good too. We gotta have Beef Broth Soup. This one is $8. 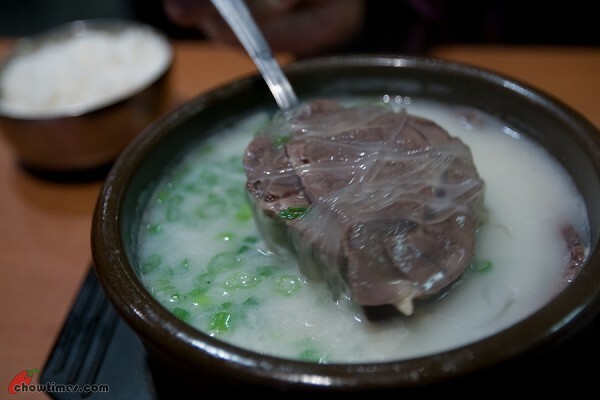 If I am not mistaken, this milky white broth is made by simmering beef bones by about 10 hours to create the rich broth. 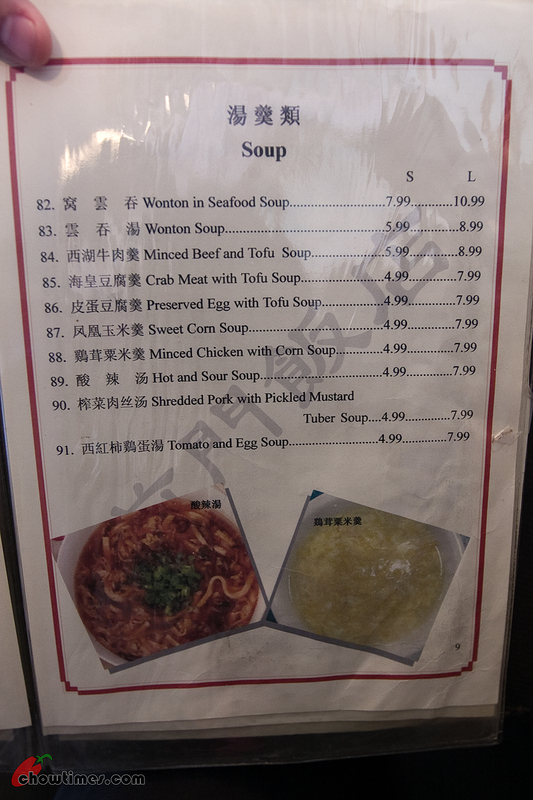 Actually the broth is quite tasteless. That is why they gave us a large side dish of salt to flavour it. 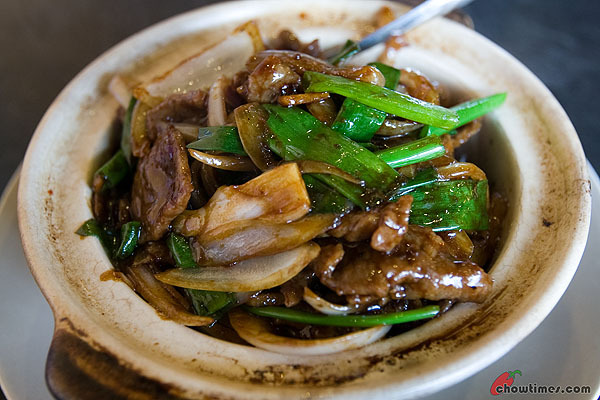 Under the rich broth is big pieces of tender beef and vermicelli. To me, this is like Korea’s answer to the Japanese Ramen. Love it. Update 10-Jun-2010: This restaurant had closed and no longer in business. Ladies and gentlemen. This restaurant is a great find. It is unique and one of a kind in Vancouver. It is cheap. It is delicious. It has monstrous portions. It is multi-course. It is interactive. It is fun. The people are super friendly. If I tell you the name of this place, you will NEVER find it. Yeah, go ahead … go Bing or Google or Bingle the name “Bool Chul Pan”. See if you can find it. LOL! It is everything I like in a restaurant. And I think you will too. The place is unpretentious. Not much of a decor. 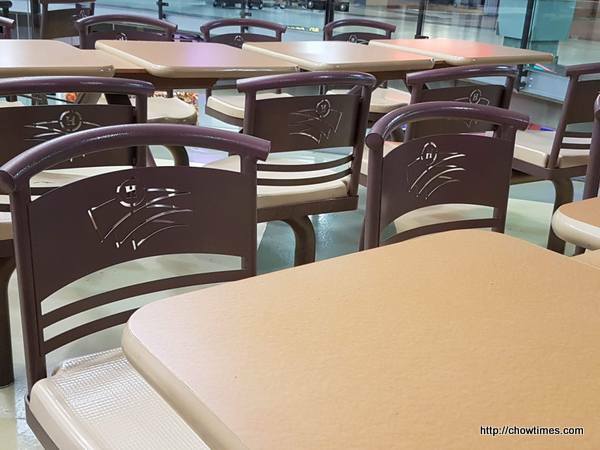 The tables and chairs are of bulky wooden unpolished type. The place is smokey. It is smokey from all the cooking they do for you at your table. 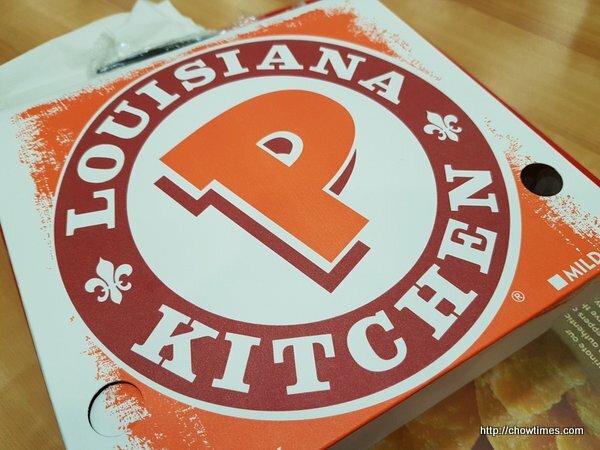 The smell alone of this place will make you drool in anticipation. 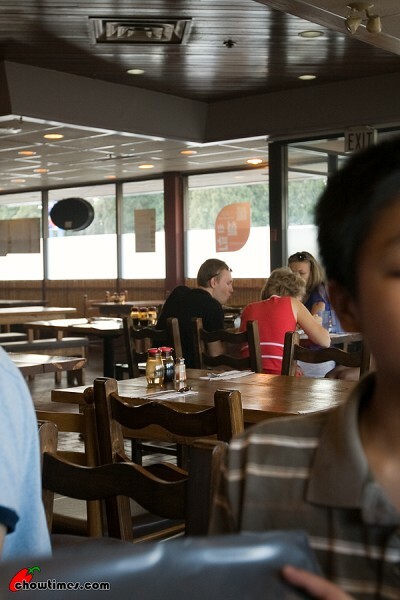 The hardest part is eyeing the neighboring tables having the same thing on a sizzling pan … cooking away. I swear those at the tables who were already eating smirking at us droolers who had not started yet. Let me clue you in a little bit more. They serve drinking water in plastic containers like the ones above. The characters on the label should give you some clue what type of food they serve. 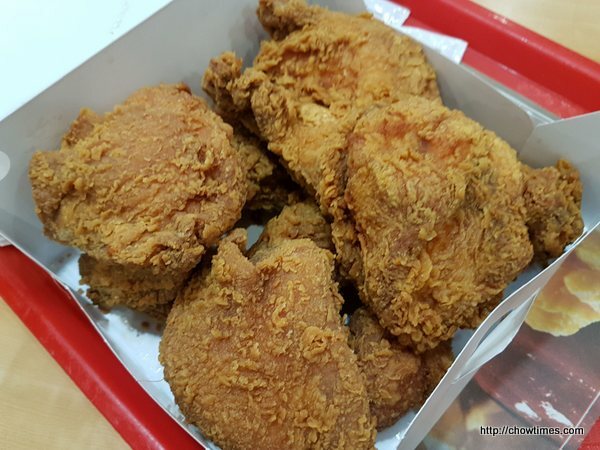 OK, the title of this post already has the word “Korean”. Just humour me and stay with me … pretend you still don’t know. This place gives us metal chopsticks. No other nation in the world uses metal chopsticks. And the chopsticks are very thin … very hard to hold even for someone who grows up using chopsticks. It forces you to pick your food more delicately … more deliberately. They give you banchan. Lots of it. Plates stacked high as they bring them to your table. Then they lay it on the table leaving hardly any space left for anything else. Suanne had to put her note book on her lap. I had to also put my camera on my lap. Kimchee. Potato. Bean sprout. Daikon. 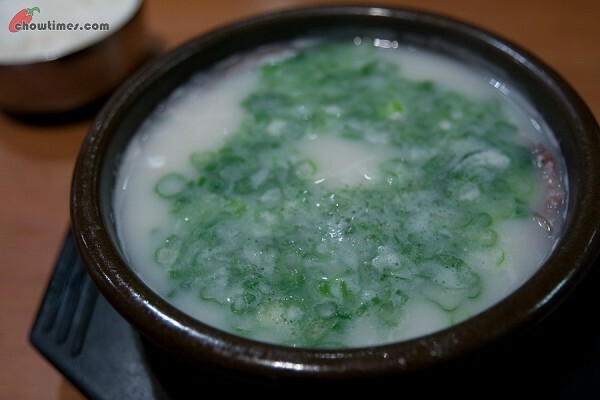 Cold Sour Soup. It is free. No charge at all. Free is good. The banchan is quite OK. Not great. I had better ones. But it is forgivable given what we are about to have. Then they gave each of us an apron. Everyone has one. It is bright orange. This is gonna sizzle. This is getting exciting. Felt kind of silly putting this on. But we did. Everyone did. 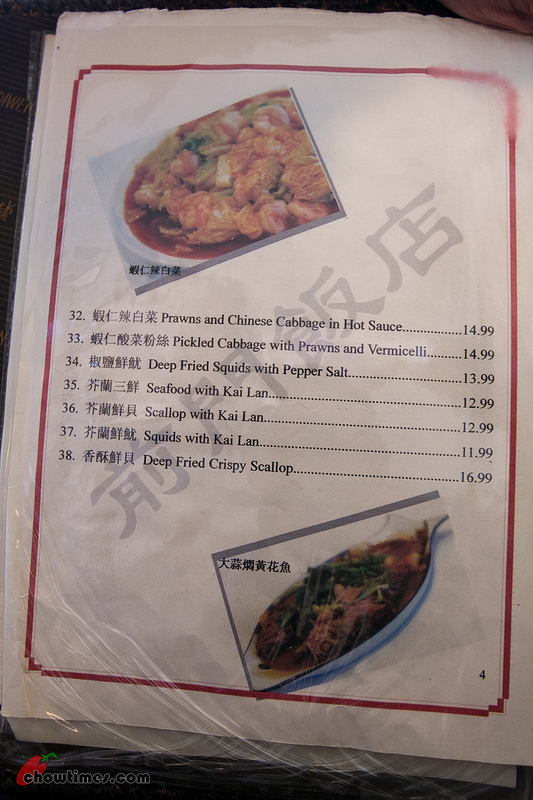 They proudly declared that they are the only people who serves this unique meal in Metro Vancouver. No one else. Non. Nada. Nien. Nyet. Illai. Then came the gas burner. For once we see a Korean made one. 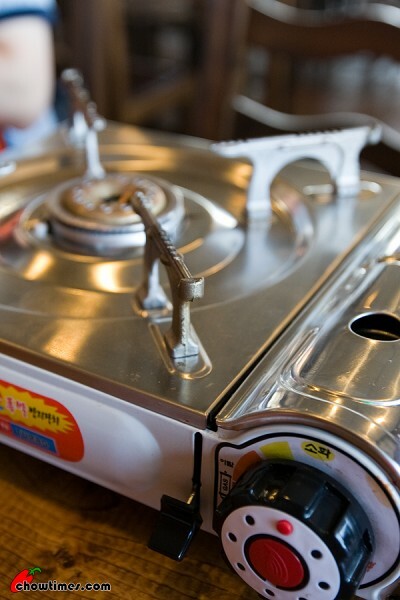 It is not one of the billions of Chinese made burners that had flooded the worlds market. The Korean stands are taller. They are different. Nanzaro ordered this. This one came in a bowl as big as a basin. Not really, but close. It is huge, big, humungous, gigantic, enormous, massive. This alone can feed a family of four, communal style. Am not kidding. 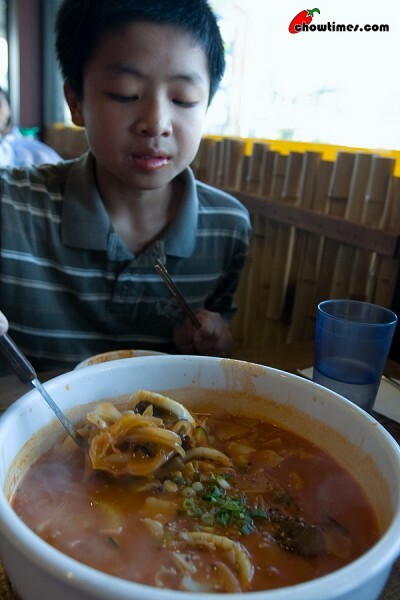 This is called Spicy Seafood Soup with Korean Pasta. Only $9. The noodle was chewy. 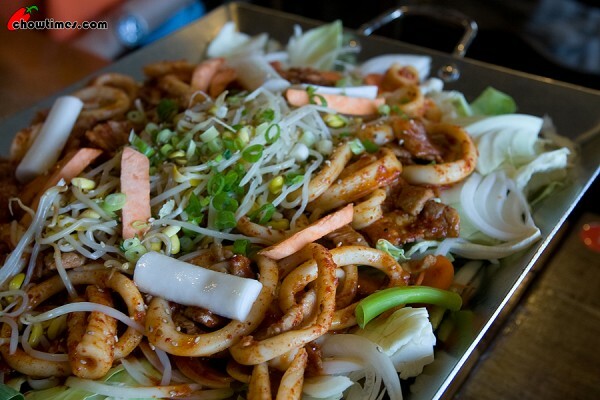 It is loaded with stuff … with squid, onions, mushroom, wood ear, cucumber and green onions. Value for money. Delicious too. But wait. This is not “it”. The above is not “it” at all. No siree. Updated: 26th February 2011: This restaurant has closed and will re-open in Richmond in early March 2011. This is an “Oh Wow! Oh My!” kind of post. You really got to pay attention to this one. 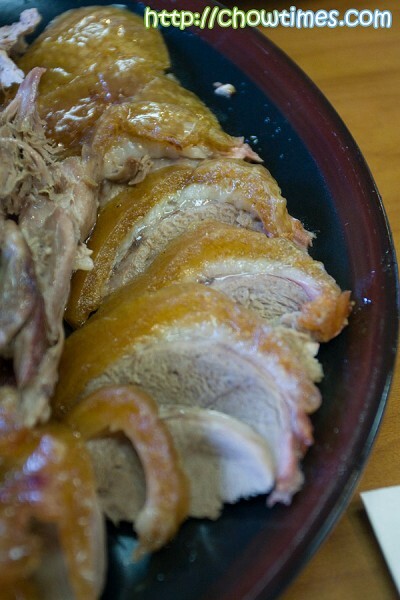 Jenny of My Secret Eden went for the Duck Feast at Man Ri Sung and blogged about it. It was one of those rare finds that you only know about by word of mouth. This is the kind of feast that you need a lot of people to attend. So, we invited Angie of Sea Salt With Food and Whitney and Ken. With the kids there were 10 of us altogether. Man Ri Sung is a Korean Restaurant. 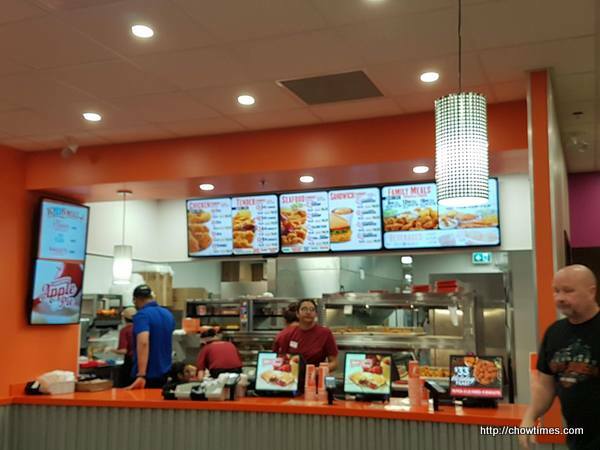 They are located on 609 Clarke Road in Coquitlam — which was a long drive away for all of us. If not for this duck feast, we would not have taken the trouble to drive that far. 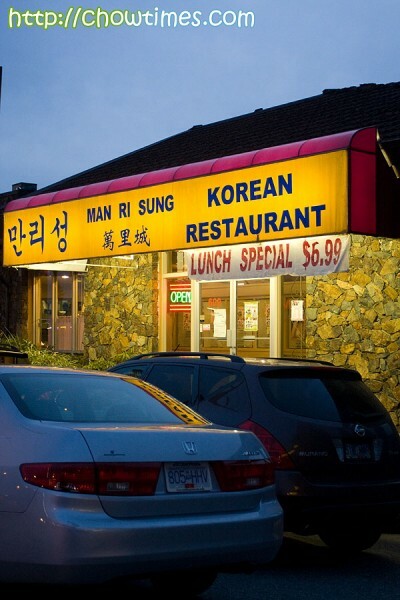 Man Ri Sung is a standalone restaurant with its own parking lot. However, parking is limited and some cars need to be double parked. Forget about ambiance and decor. It is a really simple restaurant. The dining area is large but was very busy when we were there — that was a good sign. The above was what we were there for. The duck feast is normally $62 but they had it as a special for $50. Each order is meant for four people but I felt it has more than enough even for five people. 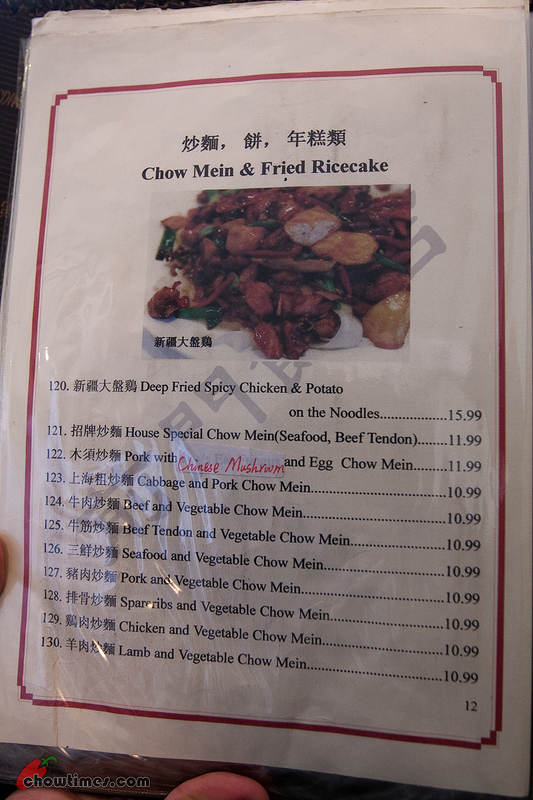 This is quite complicated … let me see if I can explain the Duck Feast. Each order will come with three courses. The main course is the duck. 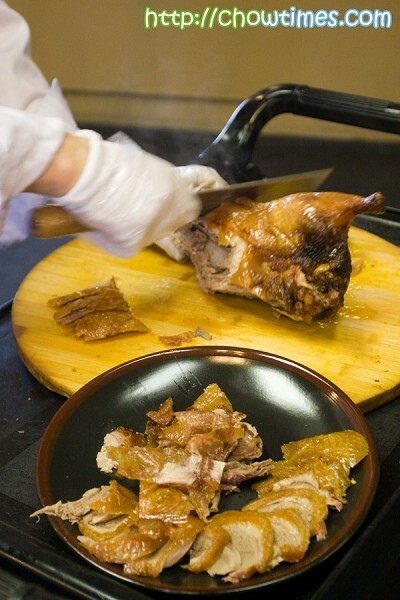 Part of the duck is then used to make either a hotpot or congee as the second course. In the third course, you get to choose from Japchae, steamed gyoza or some dark rice rolls. It worked out great for the ten of us — we ordered two sets of the Duck Feast. BTW, you will need to pre-order the Duck Feast as it takes two hours for the chef to prepare it. When I made the reservation, the person on the phone could not understand English and asked if I speak Korean or Mandarin. 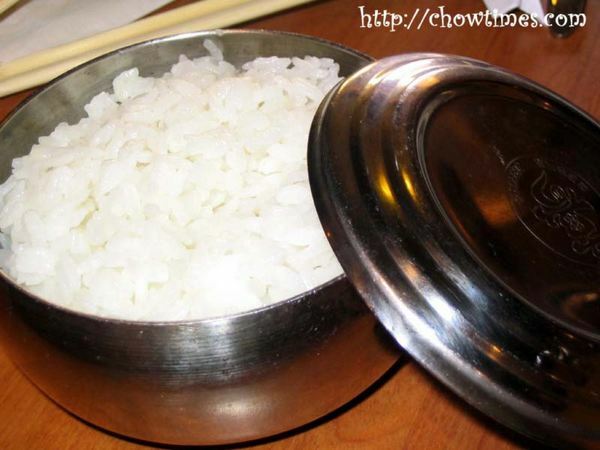 Korean eating utensils are different from Chinese and Japanese. Unless you are Asian, you might not notice the difference. 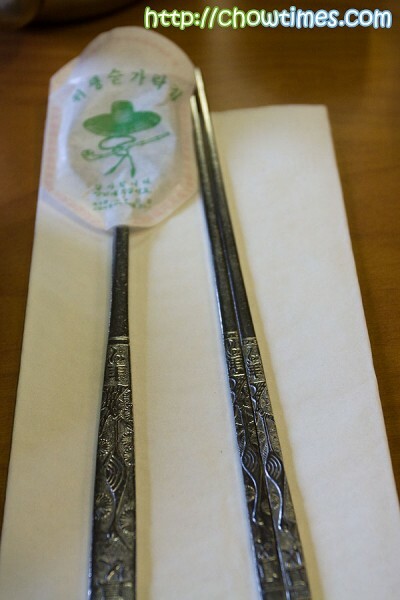 For one, Korean has spoons with long handles (kind of good that they even have a paper wrapper around it) — Chinese normally issues soup spoons while Japanese does not have spoons. As for chopsticks, Chinese uses longer, thicker chopsticks with blunt ends. Japanese uses shorter chopsticks with sharper ends. 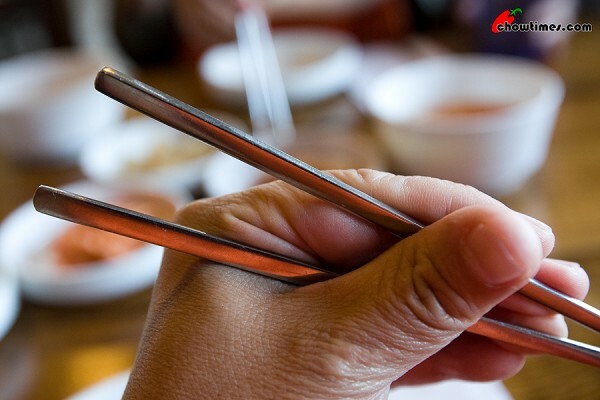 Now, Koreans uses chopsticks made of metal and has a flat side … we were not used to handling flatter chopsticks. I think the reason why the chopsticks are metal is because it is more suitable for food like Korean BBQ. 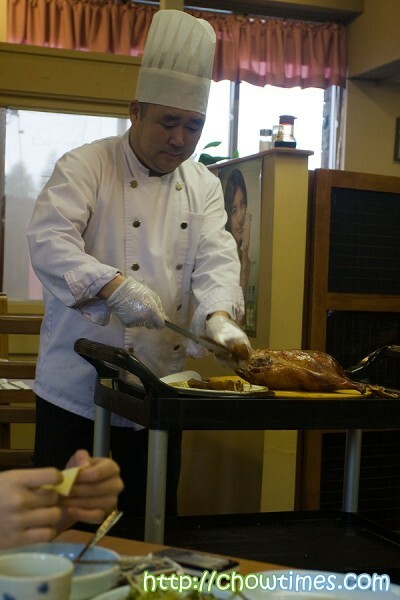 The Chef personally cart the duck and carve the duck in front of the diners. I think it’s a nice personal touch but wished that he speaks English. During the time we were there, we counted that they sold about 8 ducks in all. Not bad. 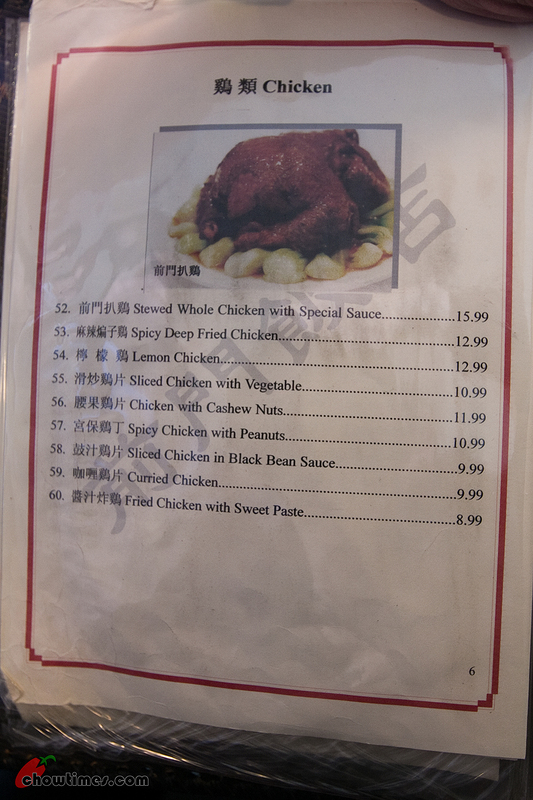 We can see that the ducks were fresh out from the oven … it was steaming when the chef carved it. Actually we were all very hungry because we reminded each other to come hungry. Waiting for him to finish carving was sheer agony for me! The duck by the looks of it was great … it looked moist. They are very tender to the bite and most important of all, they were quite fleshy. However, you do not eat it just like that … there are more, much more! 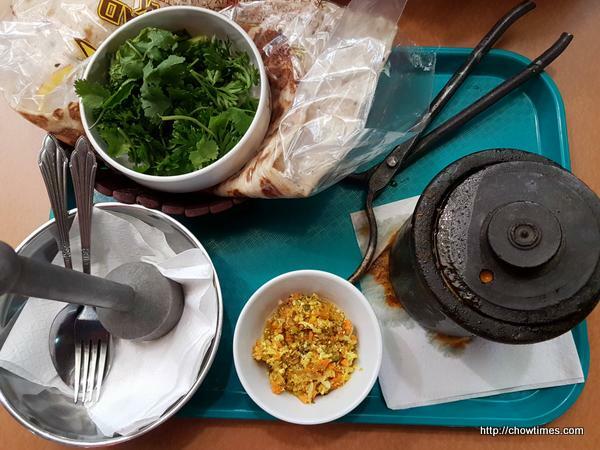 The members of the Gilmore Park Church community kitchen organised a field trip to a Korean Restaurant and a tour to a Korean Supermarket, led by Minnie and Lan. 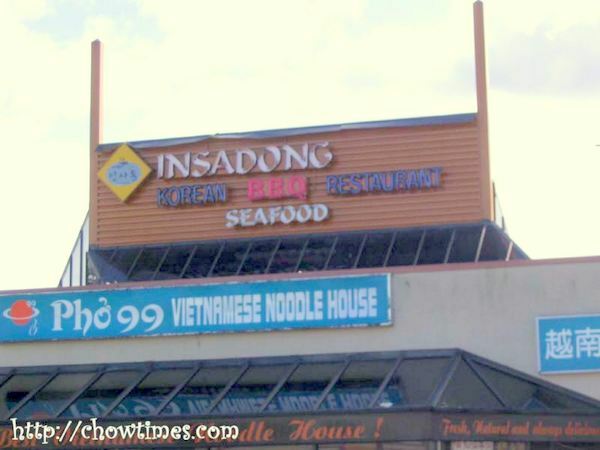 We went to Insadong, a Korean BBQ and Seafood Restaurant located at North Road, Coquitlam. We were told that dong means village in Korean language. 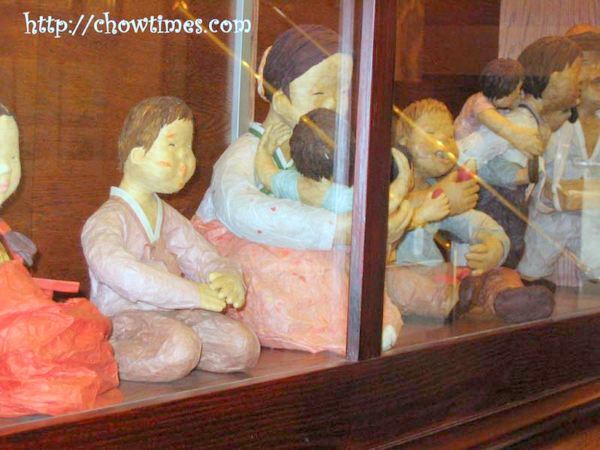 Upon entering the restaurant, there is a glass wall with display of some Korean dolls dressed in traditional Korean clothing; certainly brings out the Korean atmosphere into the restaurant. Minnie and Lan, the Koreans among the group placed the order of the food. We ordered three dishes to share. We were served ‘rice tea’ and the rice came in metal tin with cover. 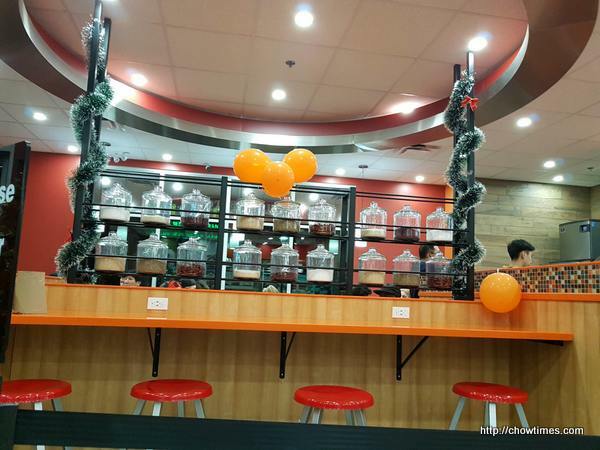 First came all the side dishes which come free with your order. The best is you can ask for free refill of the side dishes. 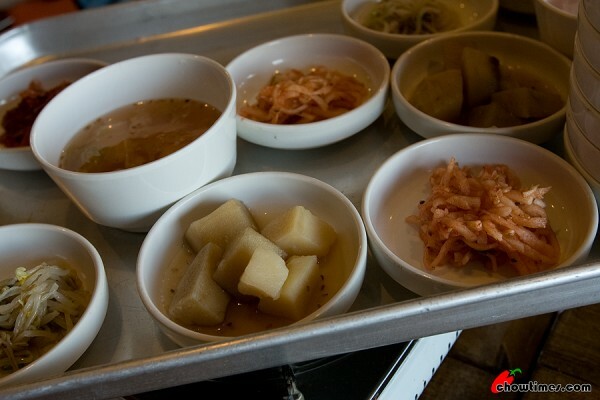 The side dishes consist of kimchi, braised potatoes, bean sprouts, sliced daikon and spinach. The first dish we ordered is Steamed Sliced Pork with Spicy Kimchi and Cabbage Wrap. This dish cost $19.99.